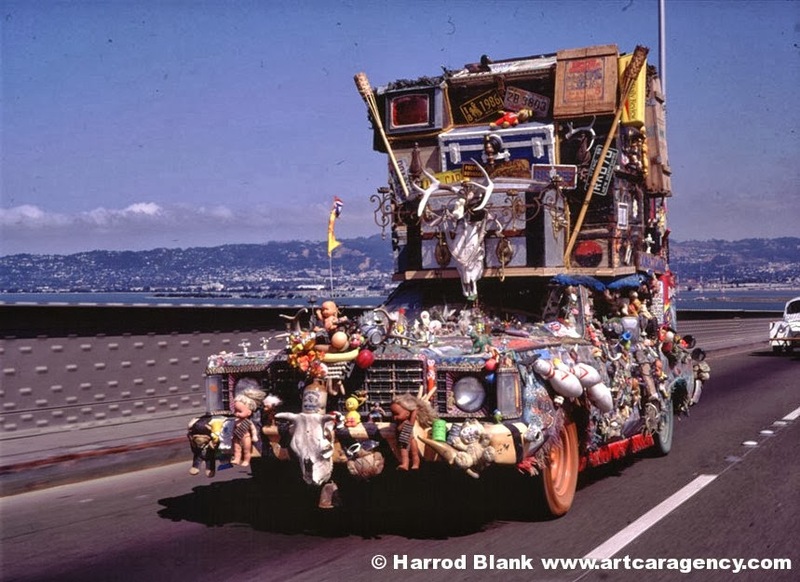 There are a lot of people out there who have done many kinds of crazy things with their cars, but turning their cars into one of the exotic and strangest looking vehicles are quite rare to see on the road, but they do exist and there are many infact which will blow your mind. 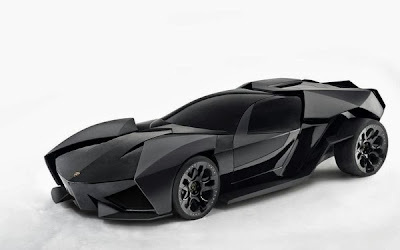 Get ready for the list of the most craziest cars of the world. One of the strangest and craziest cars belongs to Rick McKinney, who lovingly calls his car the "Duke". Without an inch of empty space on this heavily modified 1976 Ford Grand which happens to be weighing over 5000 Lbs., is a museum on wheels. What does this car have to make it look like a museum? 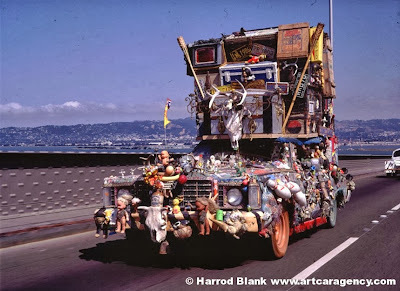 Well it has many kinds of things attached to it, on the exterior part of the car there are many fisher toys, and other children's toys, bowling pins and such, and even TV set parts and a window from a ship that was once owned by the President Herbert, from his personal Yacht. This car reaches heights of 12 feet and even has a bedroom that's 5 foot x 8 foot x 5 foot made from tree trunks that has a removable skylight. Insides include photographs and more toys. Howard Davis a friend of a telecommunications company Datel Communications, which is a telephone company based in Massachusetts has made his 1975 Volkswagen beetle's exterior fully converted into something very unusual. 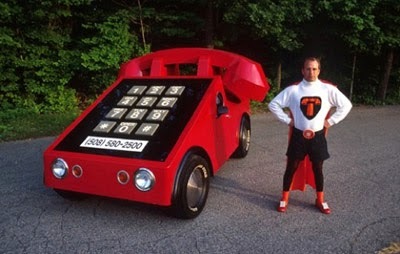 He turned his car into a giant phone with the numbers and everything all functional, and the car is a spectacle being over 5 foot in height and displaying bright red colors. It's a funny giant phone going down the road. 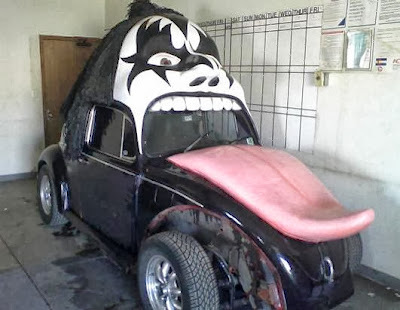 Yes it's true, a car that happens to be the face of the famous bassist Gene Simmons for the band KISS. The car is over 4 foot tall and the exterior has been fully modified to resemble the face of Gene Simmons with his tongue sticking out quite brutally. This car is one of the most craziest looking cars by far. The car can be yours for only 10000 Pounds, but keep in mind that it is still just a 1970 Volkswagen Beetle. Driving this down the road can sure turn quite a few people's heads, ironic isn't it? Now If you're tired of wearing your old shoes and can’t find that perfect shoe to match your Red dress then you may as well go on a date with David Crow as his car is a wonderful red shoe, perfect to go with that dress. 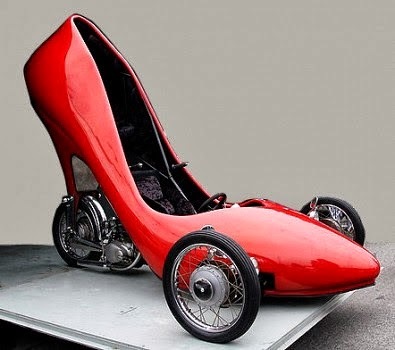 The Red Stiletto resembles a nice shoe that you could drive while people might think they are suffering from some sort of hallucinogen, but yes David has designed this perfectly well adjusted shoe automobile by using parts from an old Honda motorbike. He spent nearly four years of his life but why? Well because he had teased his friend about her shoe collection and wanted to make up for it! Way to go David you sure did impress a lot of people as well. That’s right, it's for real and it's simply amazing. A group of rich enthusiasts who have made a real life bat mobile with most of its functionalities costed nearly 1 million pound to build and was built by a team in Florida calling themselves Galag. The group is anonymous and the car is just what it looks like, the bat mobile out of the movies of batman. Get your dvla contact number ready so you can inquire about how you too can own these cars. With the rate at which technology is evolving, there will always be a new gadget or device that could add to your home living experience. These gadgets will not only allow you to do more while you are at home, but they will ensure that everything runs in a more efficient manner. These improvements can range from faster internet connections to more high definition channels on your television. Here is a look at five technology items that will make a huge impact on the way you live. With home phone technologies having improved so much over the past few years, it is important to ensure that your service is as up to date as possible. The clarity and quality of your home phone connection will be a lot better with a new service, and you are likely to have more free minutes for both local and long distance calls. There are various home phone packages you can read about at http://www.bell.ca/Home Phone. Consulting an internet service provider for your high speed internet connection is a great idea. Internet technology has advanced a great deal over the past few years, with high speed and fiber optic connections available to many homes across the country. The increased speed is great for people who want to play games online, watch HD movies or video clips, and download large files. All in one remotes are amazing as they allow you to control almost every electronic device in your house with the push of a button. Logitech's Harmony all for one remote can handle up to 15 different devices, such as the TV, DVD player, lights, air/heat, and much more. The devices are easy to install and manage on your own, but it is possible to get detailed assistance from a technology specialist when you purchase the product. Most home security systems now come with security cameras, in addition to alarms and sensors. Adding a camera is not only a great way to see why your alarm has been triggered, but it is a way of monitoring the house throughout the day. Most security systems allow for camera set up with video feeds being delivered to a user's laptop or smartphone. Parents can keep an eye on their children, or you can keep an eye on your house when you are away for business. There are a fleet of tiny home robots available that can do anything from vacuuming to cleaning your gutters. These items may require a bit of set up and maintenance, but they work silently and with minimal fuss. Imagine sitting down and reading the newspaper while a vacuum robot cleans the carpet and hardwood floors within minutes. Each of these devices will enable you to have a technologically advanced house, ensuring that your standard of living improves.